The Raleigh venue formerly known as Disco Rodeo has undergone a name change and venue renovations thanks to the recent takeover by Live Nation. Under the new management and facility upgrades, The Ritz has played host to several larger acts in recent months, most recently Mat Kearney and the Just Kid's Tour. With the assistance of opening acts, Judah and The Lion and Parachute, Kearney entertained the crowd with tracks from his newest album, Just Kids, in addition to popular tracks that have generated his following over the years like, "Hey Mama" and "Ships in the Night." 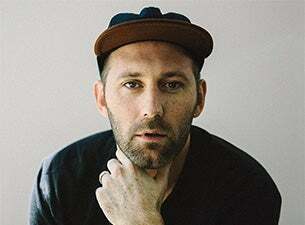 Check out The Triangle Beat's footage from The Ritz and be head over to Mat Kearney's website for his new music and more.